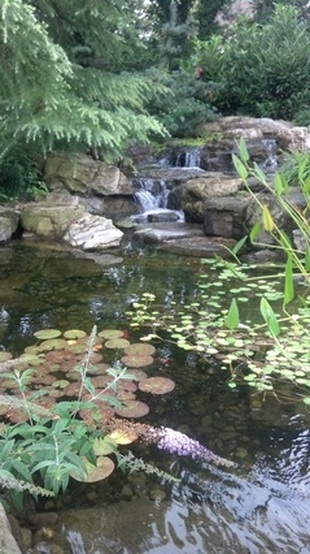 No Rochester New York (NY) pond owner wants to look out their window and see green or tea-colored water in their backyard pond, which is why creating a healthy low-maintenance ecosystem, is so important. Low-maintenance water features incorporate more than adequate filtration for small backyard ponds. 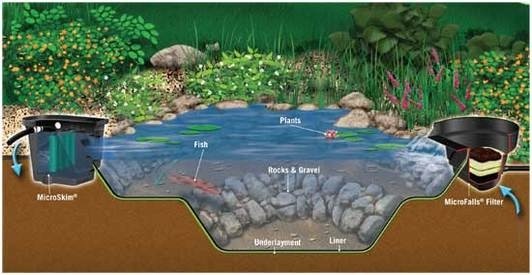 In addition to aquatic plants, Pond fish, aeration, rocks and gravel, a low-maintenance ecosystem pond requires adequate filtration to help keep the water crystal clear. 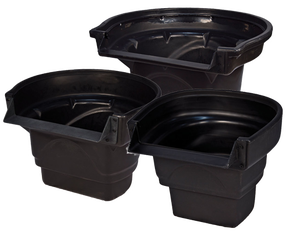 Three types of pond filters are available on the market and include biological, mechanical, and sterilizers. 1). Biological filters use bacteria to break down pond wastes, converting them into less harmful compounds that can be used as aquatic plant fertilizers. 2). Mechanical filters trap and remove debris and sediment. 3). Water sterilizers pass water through a tube that houses an ultraviolet bulb, killing living microscopic particles in the water. but your issues are string algae. Many homeowners in the Monroe County Rochester (NY) area either inherit a pond that is not ecologically balanced or have a pond that was not properly designed. Unfortunately, having a full blown pond upgrade to an Aquascape Ecosystem is not always a viable option. Everyone hates to have that dreaded algae bloom in their pond. If you own a water garden then you know your worst enemy is the unsightly scourge that is green water. We have helped hundreds of Monroe County NY Pond Owners successfully battle Green water issues without a full blown pond makeover. 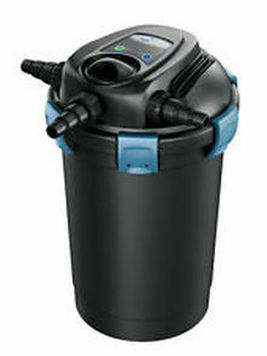 Sometimes this is as easy as cleaning the pond and adding Aquatic Plants and gravel, and increasing the water circulation in the pond, other times the addition of a UV Clarifier is necessary to get the upper hand on the dreaded Green Water monster. "Ponds with a Gravel bottom are Easier to clean than a Bare Liner Pond". You can quote me on that, we perform over 3 hundred Pond Cleanouts every Spring and all things equal a gravel bottom pond will have less sludge and debris than a bare liner pond. Simply adding gravel is simply not enough. 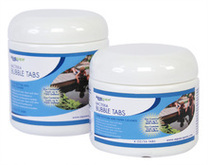 You have to help your pond along by consistently adding Beneficial Bacteria. Sometimes your pond will turn green again soon after you clean it out and add gravel. However, persistence and patience will over come your frustrations in the end. For some ponds the fish load or surrounding environment simply make the Ecological approach to clearing your water take too long. So if the steps above don't work after 6-8 weeks of persistence or you are simply too impatient to wait on Mother Nature then a UV Clarifier is the way to go. 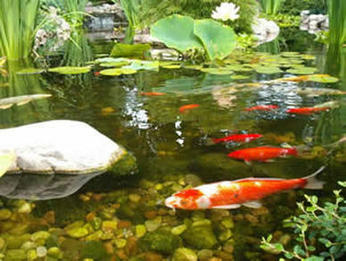 Let us help you with your pond maintenance in Pittsford NY!